At The Great Kebab Factory, you make one decision - veg or non veg and they take care of the rest. At Rajdhani you don't even make that choice! No menu, no ordering, no nothing. Sit and they will serve you. 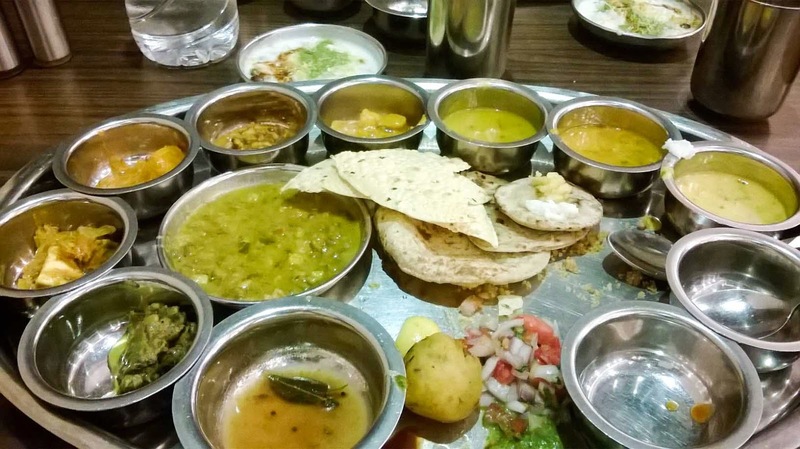 But I came out of Rajdhani with an overwhelming feeling of wanting to go back there, to a vegetarian restaurant! 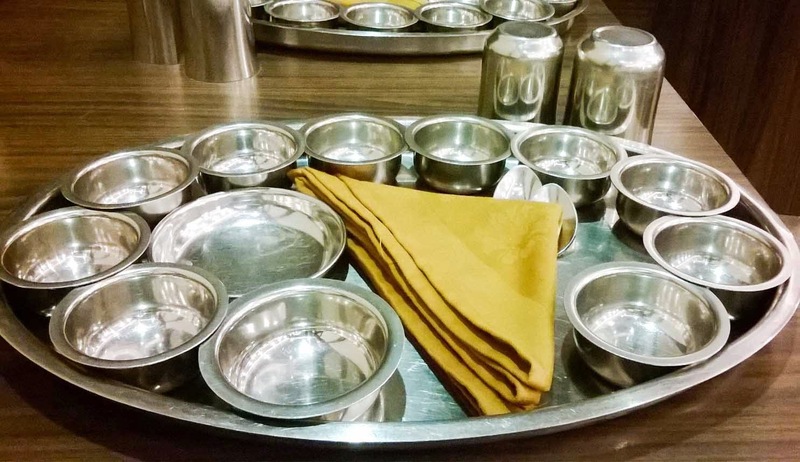 Tables are already set with the thali plates. And then, one after another, after another, after another, phew, they keep filling your plate. And you keep gulping food down. And they repeat and you repeat. And they repeat. And you repeat. The problem is when you stop repeating. After 4 rounds of roti and an unwritten competition between the waiter and me as to who is going to stop first, I lost. The waiter looks at me with a sad face. "Sir, ek aur lelo." "Bus, bhaiya, full hogaya." "Sir, ek aur. Kuch nahi hoga. Sirf ek." And the fifth roti landed on my plate. But little did I know that rice and khichidi were yet to come, so when I declared that I did not want either, the roti was back. "Sir, aap rice nahi khatha, ek aur roti lelo." 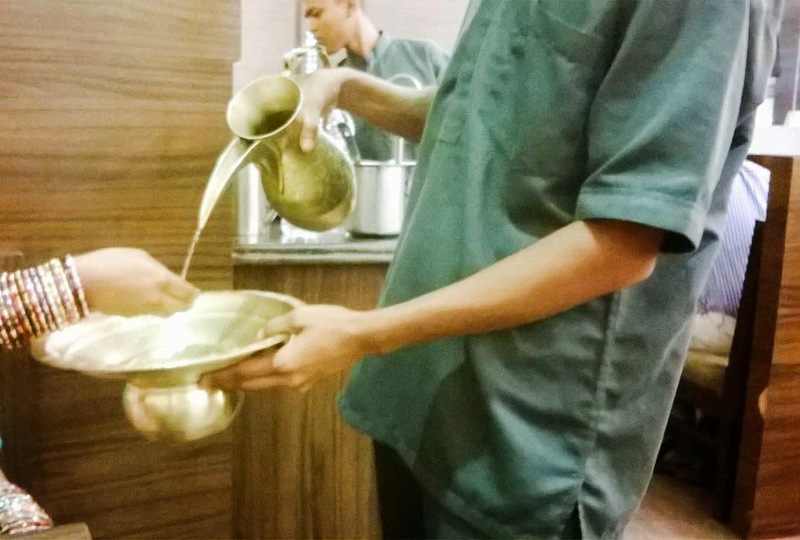 The only other place where I was force fed was at Souther Spice, Taj Coromandel and even there, some of it was charged. Here, it is all all you can eat, unlimited thali, which includes unlimited bottled water apparently, because I was not charged for it. There is no point in mentioning what all I was served and frankly, I don't know most of the names. But it suffices to know that you will served everything from sweet to salad to main course to dessert and a drink too. And the written down price included the money they were paying the government, the mall, their salaries, under the table payments if any and everything. The price written as I entered was Rs. 405. The bill broke down that 405 into cost, tax etc and I paid what I saw. Simple. Lovely. If this place served meat, I would have given it 5/5. The food is like home cooked food and is not exotic, the experience is! I had it at Phoenix Market City, but they are located in quite a few places including Express Avenue.